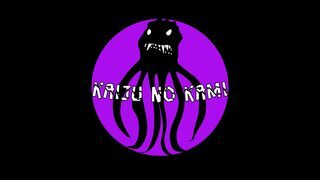 Re: NECA..."the other Godzilla company". Strange turn of fate that the rare one is a plain Heisei Godzilla, and weird to still push the odd reactor glow coloring. I’m not the only one that sees a poor likeness for the Shin, even in this deformed style, right? I’m curious to see what they actually look like. The little artwork on the side of the box doesn’t really tell us a whole lot... 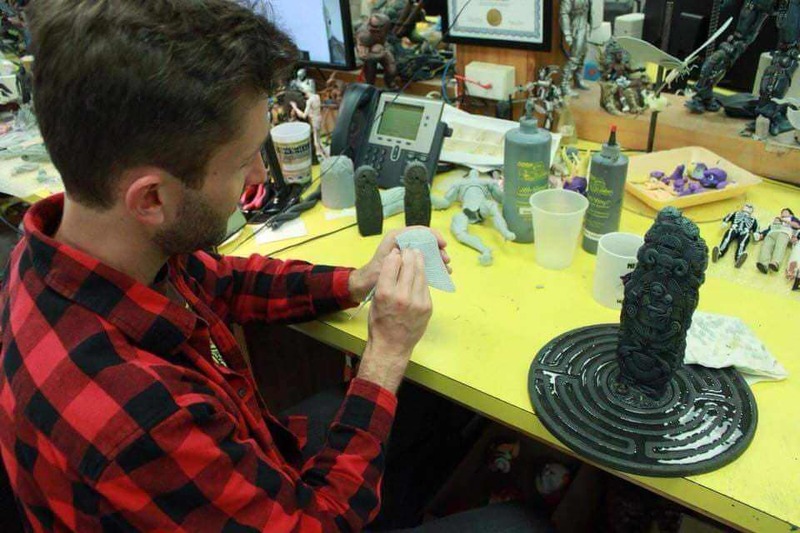 I mean, if that’s to be believed, it looks like the same sculpt for ‘54 and ‘84. 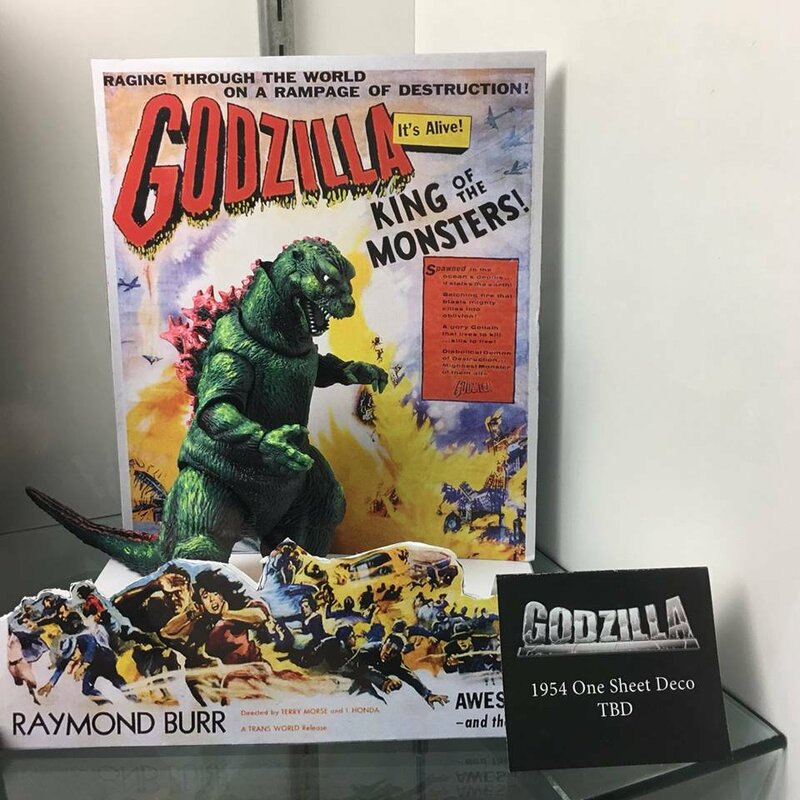 NECA is now dealing with Toho directly instead of having to go through WB who would then talk to Toho so they now have access to all monsters in the Godzilla library. They're looking to get artwork that would allow them to have individual packaging images for each figure based on the movie they come from, know how much people want Showa related items, and constantly improvving their figures so they can match the Alien line in quality. ^These all sound like very good things. 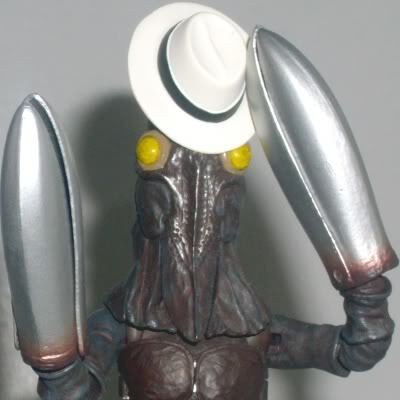 If they keep up good quality, NECA could finally fill a collector niche that SHMA doesn't. Not only does this look like NECA's most accurate sculpt yet, both the tail (too small on previous figures) and the stance (2001's awful hunch) seem to be remedied here. Hopefully all the joints work well in the final release. 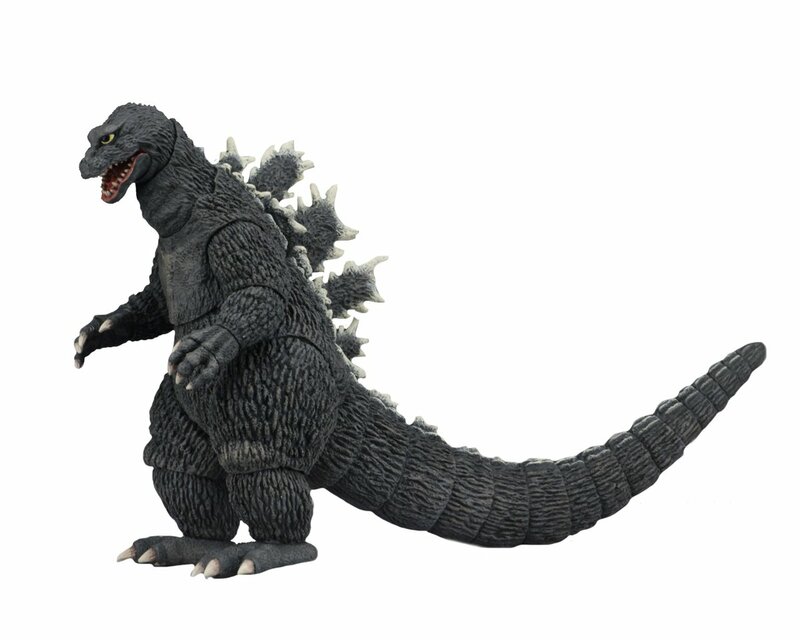 NECA is also gonna start selling at Target stores, meaning these Godzilla toys may be a heckuva lot more available to folks. 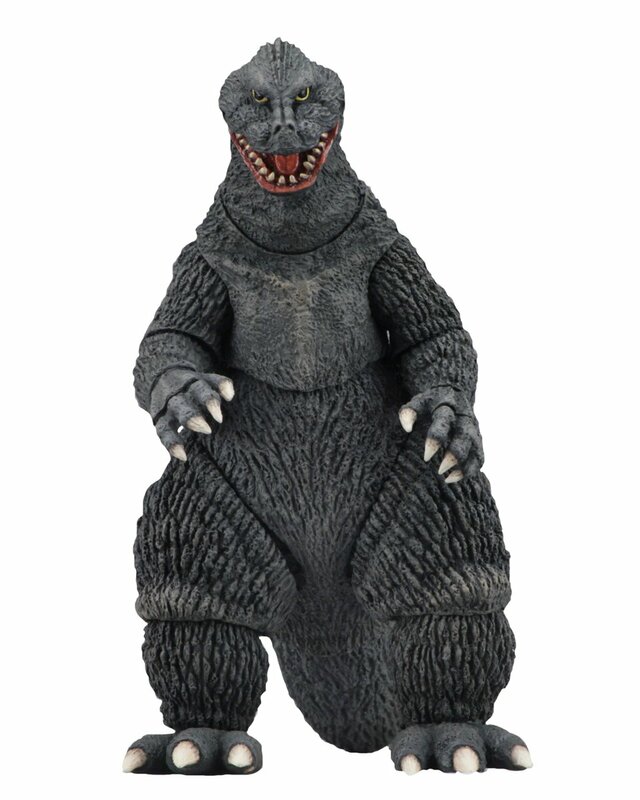 lhb412 wrote: NECA is also gonna start selling at Target stores, meaning these Godzilla toys may be a heckuva lot more available to folks. Maybe at your Targets, but mine are as barren as a Mad Max movie half the time. Yeah, that’s very much a regional thing. I travel all the time for work and I visit targets and Walmarts when I have the occasion or am looking for something in particular (usually a Star Wars figure or something). It’s VERY hit or miss. In some areas, Target is the go to place. In others, it’s Walmart. It really just varies from store to store and there’s no rhyme or reason to it. ^Wow. All the Targets near me have a toy section twice the size of Walmart's and are neatly organized, and the biggest store has multiple displays highlighting various toylines. The Walmarts near me have toy sections organized about as well as a bargin bin, cramped and messy. I don't own any of NECA's Godzilla figures but I think this might have to be my first, provided it includes the backdrop for the full effect. lhb412 wrote: ^Wow. All the Targets near me have a toy section twice the size of Walmart's and are neatly organized, and the biggest store has multiple displays highlighting various toylines. The Walmarts near me have toy sections organized about as well as a bargin bin, cramped and messy. Yeah, there are Walmarts out there with toy sections every bit as nice as targets. And while targets toy sections are more uniform country-wide in terms of size and organization, the quality and quantity of stock on the shelves can be just as abysmal as those poorly run walmarts. Yeah that poster variant looks really cool. And it just HAS to come with the little foldout display. It HAS to! The only thing I'd change is actually include a firey breath effect rather than just posing the figure in front of the poster's breath. Yeah that'd certainly be a great addition, and allow you to recreate the poster image even better without the need for a backdrop. I wondered if maybe I was exaggerating in my previous post. However, today I did some shopping and I can confirm that both of my local Targets have really freaking good toy aisles. Big displays and everything, giant cardboard T-Rex promoting the Jurassic Park line. Walmart can't even compare around here. I had not given it much thought as to the future of Neca Sales in stores. I just assumed they wold end up hobby shop and online only toys. I watched the Interview with the Neca rep. or whatever and they said they would be at Target in the collectibles section. I totally forgot about that. Right along the wall where all the media is there is a section of what Entertainement stores like Media Play were famous for selling years ago. Maybe Hot topic as well. 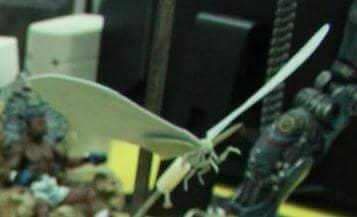 So that is where Neca Figures will be sold at retail. I cold see them showing up At Walmart as well. Tey have a hobby section up front with the cards. Target seems like the best bet though for selection and better distributions. It's advertised to have 30+ points of articulation, but so was GMK and mine has under 25. Hopefully it's on the mark for this one; it's looking great so far! 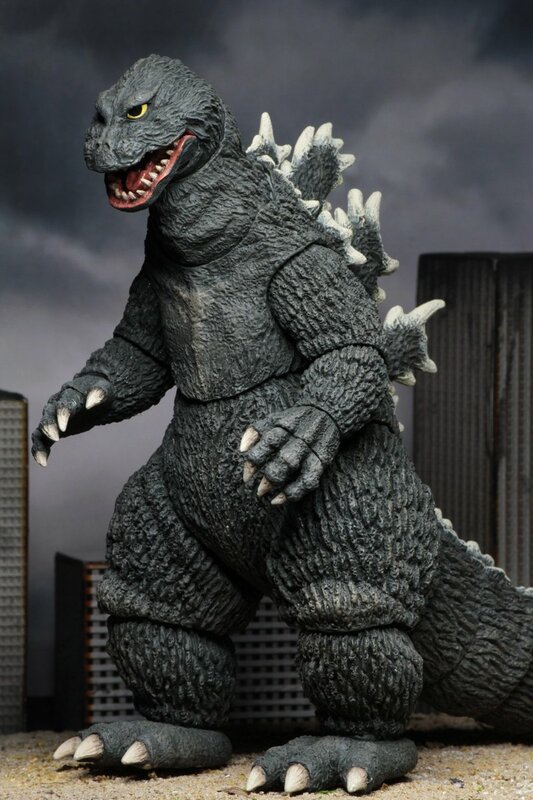 Best Godzilla figure they've done in terms of sculpt. Hope this is a sign of things to come! Blehhhh... That makes too much sense. I want more tail joints, NECA! Charge a couple more dollars if you have to! Given that Target is selling them for $24, they really should add more tail joints. Well that excitement burned out fast. 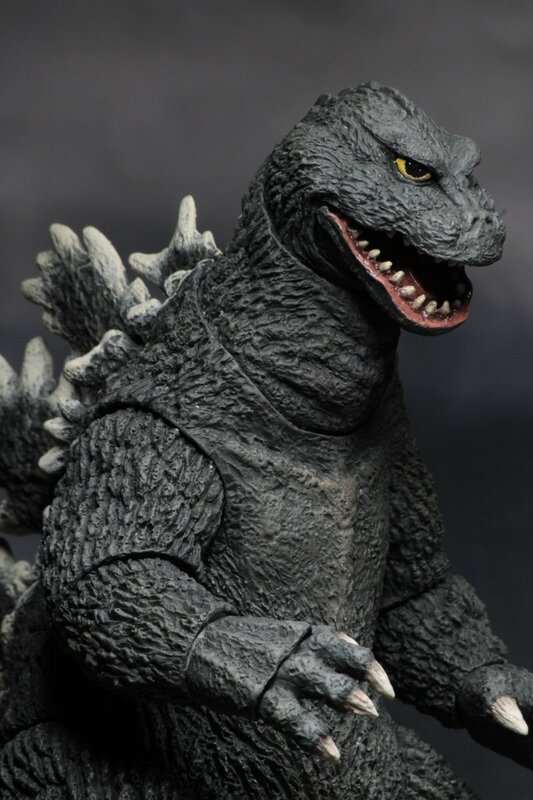 NECA has delayed the 62 Godzilla because I guess they are waiting on packaging approval. So my entire enthusiasm is now gone because of a worthless piece of plastic I will be tossing out. 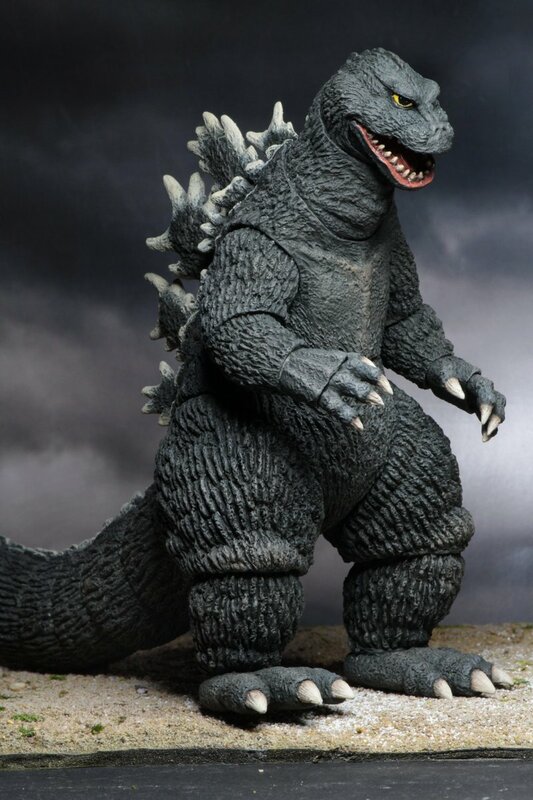 Honestly, shouldn't we expect all Godzilla related products being delayed by Toho packaging approval? 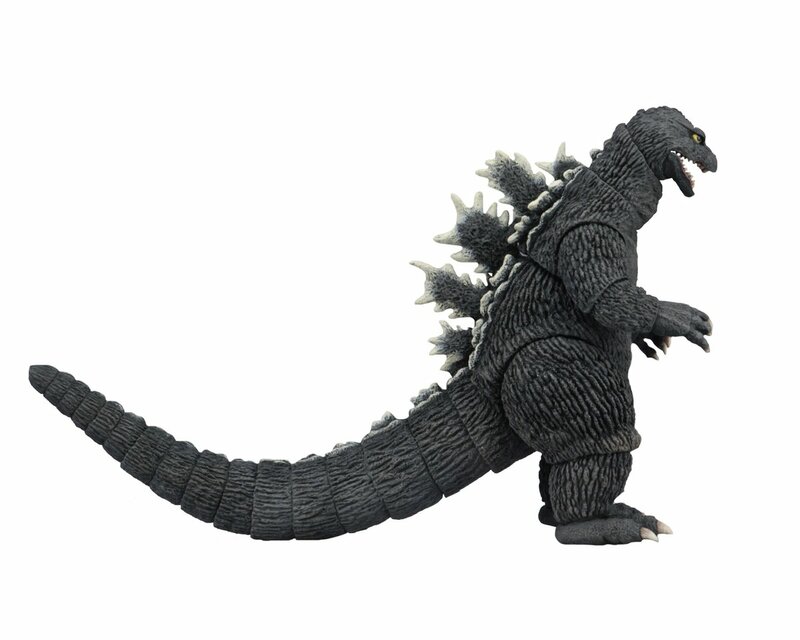 lhb412 wrote: Honestly, shouldn't we expect all Godzilla related products being delayed by Toho packaging approval? Well back in the summer he said now that they were dealing with Toho directly, everything was going to be much smoother. They should standardize the packaging so they wouldn't have to deal with approval every time. I thought they had already done this. Seems like it. Haven't they all been the same? 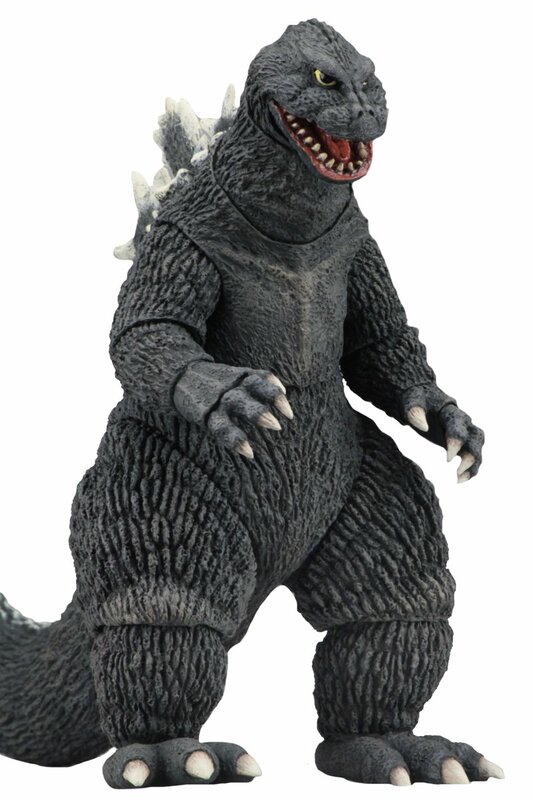 ^ They were saddled with that rather ugly image of the Bandai Creation Godzilla '54. They mentioned that now that they are working with Toho they'll be able to change the packaging.